Legislation introduced in the House last month takes aim at unmasking Antifa and stopping domestic terrorism. 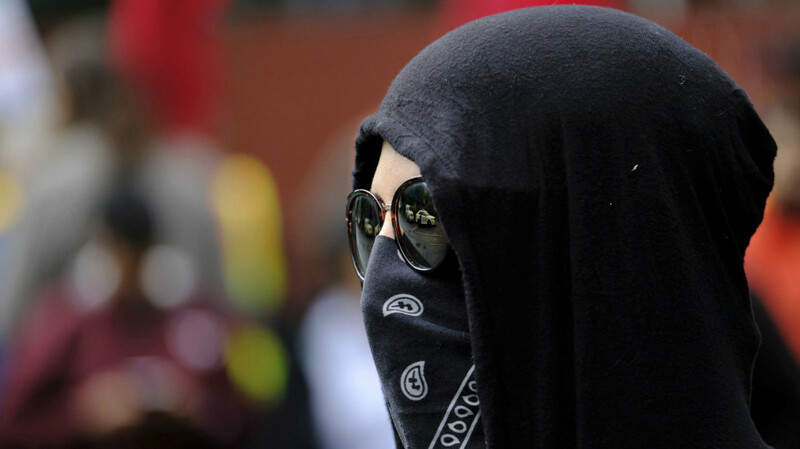 The Unmasking Antifa Act of 2018, introduced by Republican Rep. Dan Donovan (NY) and co-sponsored by Reps. Pete King (NY), Paul Gosar (AZ) and Ted Budd (NC) is meant to take aim at the criminal activities of Antifa protestors that purposely use masks to hide their identity while assaulting individuals or destroying property. Under the Act, “whoever, whether or not acting under color of law, while in disguise, including while wearing a mask, injures, oppresses, threatens, or intimidates any person in any State, Territory, Commonwealth, Possession, or District in the free exercise or enjoyment of any right or privilege secured to him by the Constitution or laws of the United States, or because of his having so exercised the same, shall be fined under this title, imprisoned not more than 15 years, or both.” The bill is currently in the House Judiciary Committee and is not yet set for a vote. According to Zero Hedge, “The law is effectively a modern take on anti-mask laws dating back to the mid-20th century in order to stop the violent activities of the Ku Klux Klan—and the left is predictably pissed.” In fact, the left is in a complete meltdown over the bill, with the predictable calls that the bill is an authoritarian Nazi-like tactic by CNN, Vice, DailyBeast, Vox and others meant to curb free speech while completely ignoring the systematic criminal acts done by protestors while wearing Antifa face masks. According to Law Enforcement Today, “Antifa has demonstrated violence. They are not innocent protesters. Just this month, four people were injured in Portland, Oregon after Antifa crashed a permitted march by the right-wing group Patriot Prayer. Tensions escalated quickly, and the police were forced to cancel the permit and declare the situation a riot. Antifa targets those they label as “fascists.” However, they appear to label anything remotely conservative in this category. Moreover, members have also used violence and intimidation against pro-Trump groups, as well, despite their having no connection to white supremacy groups. This includes violent protests on the day of Trump’s Inauguration, when members of Antifa rioted in downtown Washington, D.C. I am encouraged to see someone in Congress finally willing to do something to stop the illegal activities of violent hate groups such as Antifa, however, if local law enforcement continues to stand down as it has done in left-leaning cities such as Berkley, California and in other states, the law would have little affect. I do find it ironic, however, that the Antifa crowd, which has been widely documented to be spoiling for war should be so upset that they are about to get one. Truth be told, they want a civil war, not a war with the criminal justice system. Reign well.